The United States reported near-historical low new jobless claims, indicating a number of pleasant surprises for the economy. Americans applying for first-time unemployment assistance from the government dropped again last week, indicating strength and resilience in the U.S. labor market. According to the Wall Street Journal, initial jobless claims, which serve as a proxy for layoffs throughout the United States economy, dropped by a thousand to a seasonally adjusted 264,000 last week. Estimates from economists were much higher – many expected up to 273,000 new claims for the same week. Jobless claims can fluctuate between reporting periods, but all signs are pointing towards the number of people seeking assistance decreasing. The four-week average for initial jobless claims hit its lowest point since April of 2000. Unemployment claims have shown a decreasing trend since late February, which suggests more businesses are hiring. 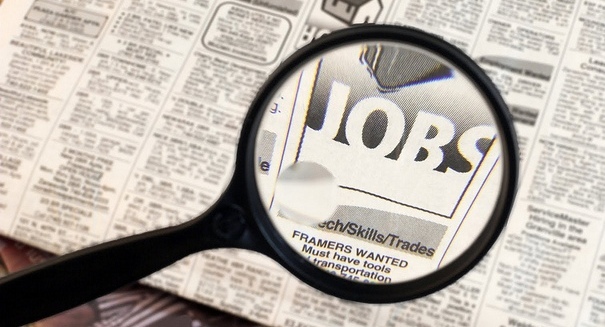 U.S. employers reported adding 223,000 jobs in April, according to the Labor Department. The jobless rate dropped slightly to 5.4 percent, the lowest since the middle of 2008. The jobs report released in April gave many people hope after weeks of worrying about the economy’s health. Economists now fully expect a spring rebound, with hiring and consumer spending both increasing throughout the season. New unemployment claims are not the best indicator of job growth on a monthly basis, because they only tell who has recently been fired. But a drop in the number of claims suggests an overall decrease in people who lost their jobs, which means more people will ultimately have more money to spend throughout the economy. Overall, economists are optimistic about the economic outlook this spring. The Federal Reserve suggested that the slowdown during the winter was largely caused by severe weather, and now that people are working again, jobs numbers should stay positive.